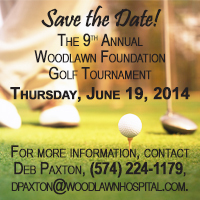 Woodlawn Foundation: Welcome to Woodlawn Foundation. Woodlawn Foundation will have the best Board of Directors, the best staffing, and the most innovative programs possible to gain and keep your trust. We know there are many opportunities to give, but healthcare is a constant need that must always be protected and improved for you, for your family, and for future generations. Healthcare means jobs, economic opportunity, and a healthier lifestyle for our residents. Health is not something to be taken for granted because it can come and go in an instant. We want you to know that we are dedicated to the success of Woodlawn Foundation, because it focuses its attention on needs that affect our community, your health, and your well-being.